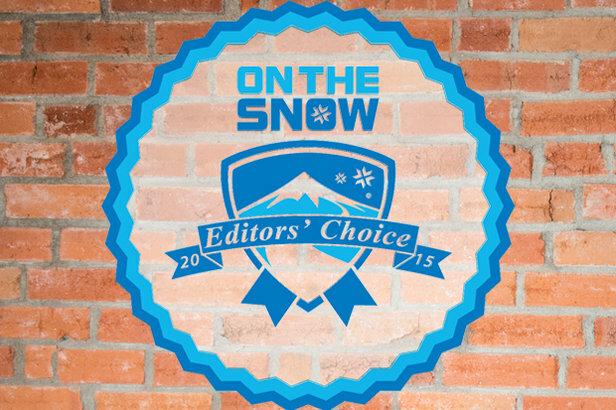 Snow Before You Go: Who Will Unwrap Powder on Christmas? 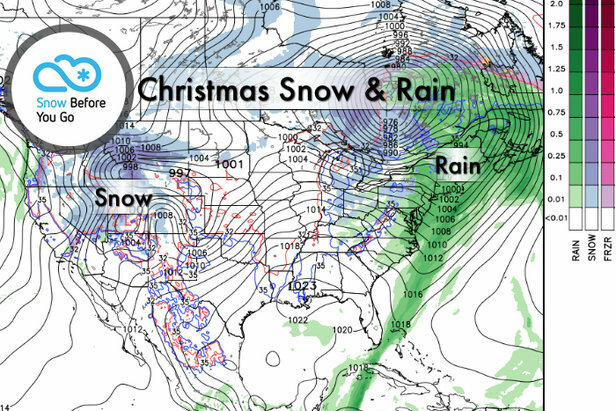 There are two big storms on the weather map for Christmas, and they're on opposite coasts. But the two storms are very different. Take a look at the graphic. The East Coast storm will be primarily rain as mild air floods New England. The Northeast ski areas will start with snow as the storm begins on Wednesday, but then it'll turn to a wintry mix of rain, snow and ice on Christmas. The second storm hits the West Coast on Wednesday with heavy snow for Lake Tahoe and the Cascades. Then the storm slides inland and pushes heavy snow into Utah, Wyoming and Colorado on Christmas continuing into Friday. Temperatures look colder than normal through Christmas across the Rockies thanks to a buckling jet stream. Northeast: The Christmas storms look too warm for an all-snow event. The snow starts on Wednesday then turns to rain, snow and ice for Christmas day. A couple inches of snow are possible at Sunday River, Okemo, Killington and Sugarloaf before the changeover to rain occurs. Looking beyond Christmas, Friday looks dry followed by a cold front Saturday night that will deliver colder air and a dusting of snow to the ski areas. Rockies: The incredible stretch of snow continues with a large Christmas storm coming down the pipeline. Avalanche danger is high. Jackson Hole, Snowbird, Alta, Steamboat, Vail, Monarch and Loveland are in for another shot of heavy snow on Christmas continuing into Friday. Accumulation will be around a foot, and temperatures look colder than normal. Saturday looks dry followed by a weaker storm Sunday-Tuesday. California: After snow on Christmas Eve into Christmas day, the pattern turns dry for the weekend. Lake Tahoe resorts like Northstar, Heavenly and even Kirkwood should squeeze out 6" of snow accumulation. Tomer's Take: Stay in the Rockies. Ski Snowbird on Christmas morning, Steamboat on Christmas afternoon and Loveland or Vail on Friday.